From July 1st, on-premise User CAL pricing will increase 15% across all Microsoft volume licensing programs. On-premise Device CAL pricing will not change. 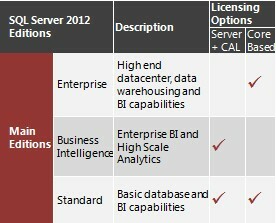 Microsoft CAL (client access license) licenses are available both on a per user and per device basis and were priced the same up until December 2012. The on-premise User CAL increase is another sign that Microsoft’s Mobile First, Cloud First strategy continues to steer the direction of the company. It is also a move that encourages customers to adopt Microsoft Office365 cloud solutions as the per user CAL increase only impacts on-premise deployments and not cloud based ones. On-premise Device CAL pricing will not change. Customers that have purchased user CALs on a fixed price annuity agreement (Enterprise Agreement, ESA, SCE, OVS, OVP) won’t be affectedduring the term of their current agreement. Now is the time to consider a cloud based agreement such as Office 365 Enterprise, Enterprise Mobility Suite and Enterprise Cloud Suite (dependent on the size of your organization). Forestall the July price increase by purchasing on-premise User CALs in June.